To keep your Pond in pristine condition you need to regularly clean and maintain your pond, filtration plants, fish, and most of all water quality. To achieve this regular water changes are needed as well as a good clean. 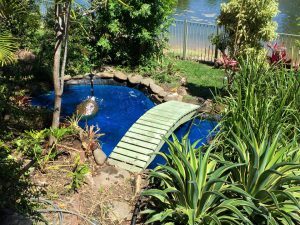 We will come to your home, office or business, clean and maintain your pond and preform a water change and remove any algae and dead plant life. We will simply schedule you a regular time and day to have your aquarium cleaned and the water changed, we can even sms you the day before as a reminder and to check if your need food or supplements. Then simply sit back and enjoy.